Invest in elegant and luxurious floors that boost the value and appeal of your home. 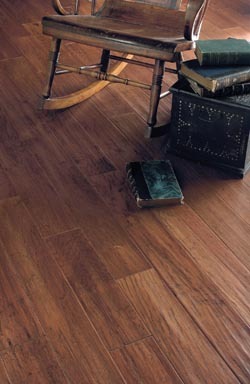 Bob Wagner’s Flooring America carries a beautiful selection of discount wood flooring in Downingtown. No matter what kind of look you want to achieve, we have the floors to match! Our inventory includes top brands in today’s flooring industry, including Armstrong® and Mannington® hardwood. Downingtown clients are consistently impressed by our quality selection, which is why they return to us for every flooring project. At our reputable flooring store, we cater to your needs. Let us help you find just what you need to make your spaces come alive. For formal rooms that demand a purely sophisticated aesthetic, opt for a cherry wood with a high gloss and a smooth finish. Hardwood flooring in Downingtown is a great investment that lasts several years. At Bob Wagner’s Flooring America, we listen to your needs. Our consultants provide you with the guidance you need to make the best decision for your lifestyle, tastes, and preferences. Professionals on our team are highly knowledgeable about the different types of hardwood and what works best in your living space. It’s important to note that there are two types to consider: solid and engineered hardwood flooring in Downingtown. Solid floors exude an unrivaled sophistication and last for several years with the proper care. Plus, solid wood can be refinished in a completely new stain for an extreme home makeover that complements your ever-changing décor and furniture. Engineered wood flooring is constructed of natural wood and resins, offering a beautiful aesthetic and unmatched strength. Our hardwood floor installation in Downingtown is second to none. Our certified installers are meticulous and highly knowledgeable, with years of experience in the flooring industry. Wood floors are a precious investment. Trust the professional installers at Bob Wagner’s Flooring America for superior results every time.